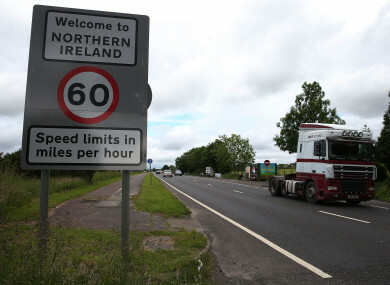 IRISH MOTORISTS HAVE been advised that they will require an insurance ‘Green Card’ to travel to Northern Ireland and the rest of the UK in the event of a no-deal Brexit. The Motor Insurers’ Bureau of Ireland (MIBI) has sent out hundreds of thousands of application forms to insurers and brokers across the country ahead of the UK’s departure from the European Union on 29 March. The industry has reportedly been preparing for a no-deal scenario for months, but the MIBI has warned motorists about the potential requirement for a Green Card to travel to the UK in a bid to address confusion over what form Brexit will take. The card is an international insurance document which shows proof that a motorist has the minimum level of car insurance required by a country they are visiting. Currently, Irish-registered vehicles that travel within the EU are covered by the terms of the EU Motor Insurance Directive. However, a no-deal Brexit would see the UK withdraw from this directive, meaning Irish motorists will require a Green Card to travel there. While MIBI guidelines state that there is no charge to obtain a Green Card, some insurers say that fees may apply when customers order them. “We had hoped to avoid the need for Green Cards,” said David Fitzgerald, chief executive of the MIBI. As a precaution, over 400,000 Green Card forms, along with electronic templates, are expected to be sent to motor insurance companies and brokers by the end of the week. The MIBI has advised any motorists who plan on driving an Irish-registered vehicle to Northern Ireland or the rest of the UK after 29 March to contact their insurer or broker a month before their expected travel date to ensure they receive their Green Card in time. However, Green Cards will not be required if an agreement is reached between the UK and the EU on Brexit, or if a transitional arrangement is implemented. “If there are no further developments and a hard Brexit is still a possibility, then insurance companies and insurance brokers will begin issuing Green Cards to affected policyholders in March,” Fitzgerald added. Email “Irish motorists to require 'Green Card' to drive across Northern Ireland border in event of no-deal Brexit”. Feedback on “Irish motorists to require 'Green Card' to drive across Northern Ireland border in event of no-deal Brexit”.